A Rise artist pal of mine who goes by the name zzipa on Tumblr. Their stuff is really zany & I wanted to crank the weird up to 11. Donnie has a spare sword on #1's cover, so the Tengu Sword was used as a fun reference of sorts. Here's a "comic" styled Rise Raph I sketched. I'm definitely loving this piece. Looks really sick! 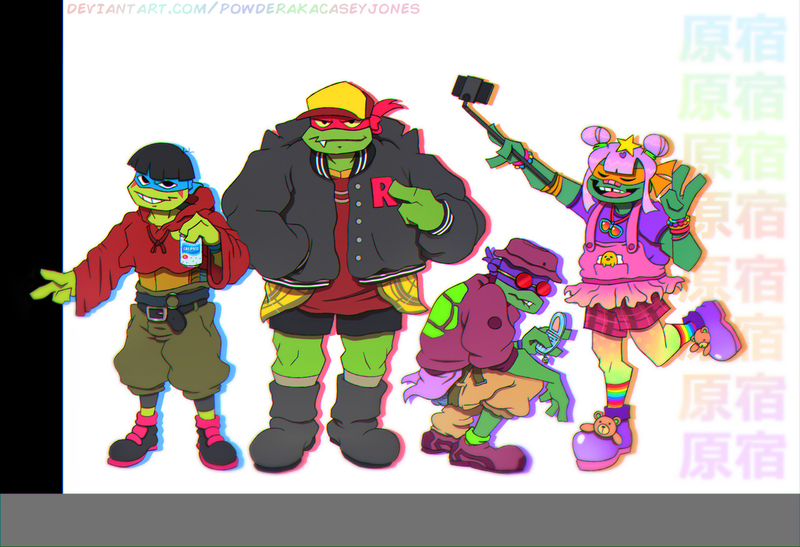 Harajuku street fashion inspired Rise turtles. Been doing some art for a sticker pack I'm selling, finally finished all that stuff up. That Punk Donnie is wicked. Almost want that as a tat. 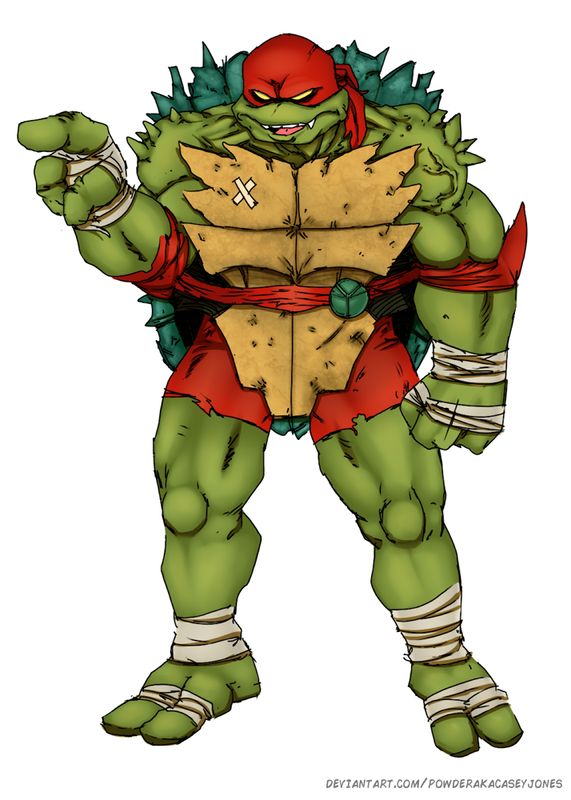 You should draw my Donnie with metal hand from my story, always wanted a pic, but garbage at art. Good stuff all around. Where you sell ur sticker packs? This stuff is awesome. The street fashion pic is especially cool, but I think "Punk's not Dead" is my favourite.